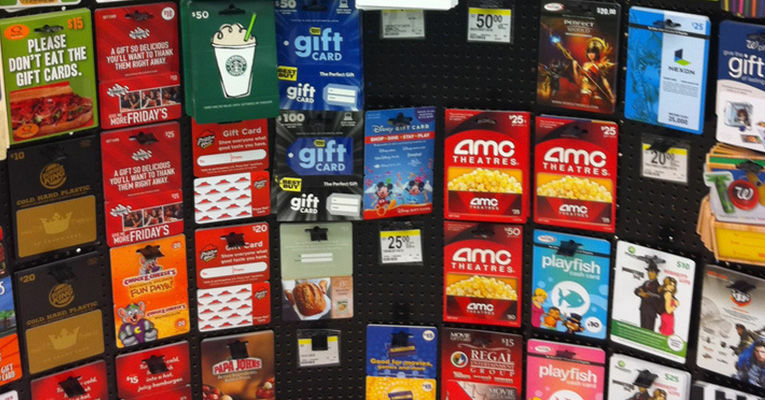 How do Gift Card Scams Work? I bought a $50 gift card for my daughter to celebrate her HS graduation, but when she tried to use it, the card had a zero balance. How can I have bought a gift card at the supermarket that had already been used? You’ve bumped into a rather fascinating corner of the economy, actually: Gift card sales run about $130 billion annually. Yes, that’s billion. Last holiday season, the National Retail Federation reported that six out of 10 consumers had gift cards on their wish lists. Lots of retail outlets carry gift cards, too, and supermarkets like King Soopers and Safeway have racks of gift cards from dozens of companies. Values range from $5 or $10 up to hundreds of dollars. Put it all together and it’s a compelling target. The internet also makes it easy to scam, too, because criminals can automate scanning to check balances and use the card for purchases or transfer balances within seconds of the cards being activated. But let’s start with the easy question: How do bad guys get the PIN that’s hidden behind a scratch-off strip on a typical gift card? Well, it turns out that anyone can buy those strips online, so grab a handful of cards, sneak into the bathroom to scratch off the pin, scan their number and pin, apply a new strip, put them back on the shelf and you’re ready to go. Since law enforcement could track down a criminal through their use of the purloined card, a common technique is to launder the theft by tying it to a third party sale. It works like this: criminal sells products through online listing site. Customer agrees to buy, say, a Nintendo Switch for half its usual value. The criminal uses stolen gift cards to buy the product and send it directly to the customer. The customer, meanwhile, has wired payment and the thief has never had to enter his or her own address or bank account. This is a classic money laundering con. Best solution is to never buy gift cards at the supermarket or anywhere where they are accessible prior to sale. The FBI recommends that you buy gift cards directly online (through amazon.com, for example) and change the PIN on high-value cards immediately. If you must buy at retail, look for cards that are kept behind the counter and inaccessible until sold. If your card has been drained, as in the case of your daughter’s graduation present, it’s still worth calling the retailer to plead your case. More and more are now working with what are called botnet defenses and can identify fraudulent transactions and refund lost funds. Be careful, don’t get ripped off. Unfortunately Amazon has its own problems. I just bought an iTunes gift card, email delivery. That should be the safest method. Sent them to my nephew, who tried redeeming it after only 6 hours, and what did he get? A message from Apple telling him the card has been redeemed. His email has not been hacked, and no one should have access to the code. I went back to the Amazon product page, and Customer Reviews had 21% (that’s one fifth!!) who had the same problem. Code has been redeemed already.